Laetitia Sadier is best known as the voice of the iconic British band Stereolab. Playing for the first time in Malvern, join Laetitia and her trio along with support from the fantastic Howard James Kenny for what is sure to be a truly special and memorable night. Order tickets online or email malvernlive@gmail.com for more information. 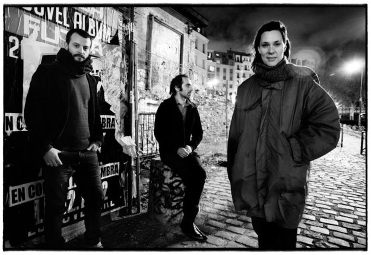 French born Laetitia Sadier is the voice of the iconic and highly influential British band Stereolab. Possibly the first group to be labelled post-rock, and mixing Krautrock, 60’s pop and experimental pop music, often with lyrics of a political nature. Known to fans as “the groop”, albums include the ground breaking Transient Random Noise Bursts with Announcements, the lush sounding Margarine Eclipse and fan’s favourite Dots and Loops. Since Stereolab’s hiatus in 2009, Laetitia’s solo project has seen her explore both the personal and the political. Her album The Trip feels like some of her most honest and intimate work, inspired by themes of life and loss. Her most recent album Silencio is an eclectic mix of brilliantly crafted music and finds Laetitia in an overtly political mood as she explores issues of freedom and liberty and asks “where is democracy”? Recent album Silencio contains some of Laetitia’s finest material to date. She will performing during 2014 with her trio and no doubt acquiring many new fans along the way.